No one can anticipate a divorce. When you decide to marry you ultimately make the choice to marry for life. You cannot know why, how or when a marriage dissolves. Nearly 45% of marriages in the United States end in divorce. However, this high divorce rate is not a new statistic nor is it a surprise to most. According to the Pennsylvania Health Statistics, a division of the Pennsylvania Department of Health, 46% of all marriages in the state of Pennsylvania in 2015 ended in divorce. Let’s take a look at why finding the right divorce lawyer in Philadelphia is crucial to that 46%. You probably never guessed that your fairy tale romance was going to end in divorce. The truth of the matter is that you never fully know a person until you are surrounded by them 24/7. Your spouse may have decided to cheat, lie or become abusive. Hiring a divorce lawyer to step in so that you don’t have to face your significant other may actually prove to be a life or death situation for you if their hurt and anger turns violent. Overall, this puts the strain on your hired attorney and less stress on you. When someone becomes a lawyer, they take an oath to be fair and honest and to represent their client in such a way. When you hire an attorney to help with your divorce, they work for you and they work to be a fair and accurate for you as possible. They have offered you their most honest and expert advice and do so in a realistic way so that you will not be blindsided. There are two main reasons why someone will make a mistake when trying to complete their own divorce without an attorney: the legal system is complicated and the stress and emotions of divorce makes it hard to think clearly. If you leave an important aspect out of your paperwork, it can affect your entire proceeding. It can cause you financial harm or even delay the divorce. When you hire an attorney, you can rest in the confidence that your case is being handled properly and that you are avoiding any mistakes due to your negligence and/or emotions. 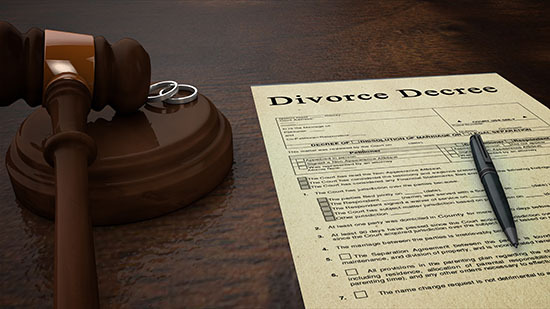 By hiring an attorney to handle your divorce, you are essentially relying on them to fill out the proper paperwork and present everything to the courts in a timely manner. If you handle the divorce on your own, you may miss an important document or fail to submit it thus, causing delays or even worse, financial setbacks. The team at Martins Mill Legal Center understands the delicate and important nature of your divorce. Whether it is an amicable or messy divorce don’t go it alone. You may be costing yourself more in the long run. If you need a divorce lawyer in Philadelphia, Leo Flynn and his staff at Martins Mill Legal Center is your team to call.